Founded in 1718 by two French-Canadian brothers for French King Louis XIV, New Orleans grew from its roots as a Euro-Caribbean port city at the nexus of North, Central and South America. Situated at the bottom of the Mississippi River Delta, the city became "Paris on the Mississippi", the fashionable cultural capital of the American South, home to America's first opera house and birthplace of jazz. Many think of New Orleans, with its antebellum mansions, aboveground cemeteries and ghostly moss-bearded oaks as a haunted place. It is certainly the most un-American of American cities, creating its own laid-back "Big Easy" attitude from the customs of the people who founded it: French and Spanish colonists, gens de couleur libres, Northern adventurers, riverboat men, pirates, and Cajuns. From this eclectic mix of influences has evolved a distinctive Creole culture, expressed in language, architecture and cuisine. Louise McKinney explores the soul of this deeply spiritual and hedonistic place, where every year the pre-Lenten Mardi Gras bursts forth with outrageous excess. 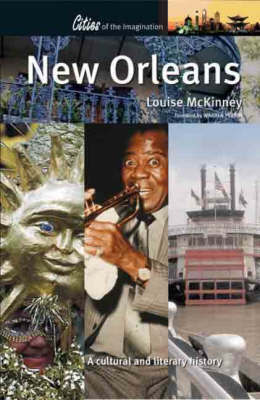 JAZZ CITY: piano "professors," jazz funerals and first men of jazz: Buddy Bolden, Sidney Bechet, "Jelly Roll" Morton and Louis Armstrong; backstreet juke joints, a French Quarter Opera House and '50s R&B. SACRED AND PROFANE CITY: a swamp-bound outpost of sensual pleasure in the middle of the Bible Belt; home to gospel and the Black Indians, zydeco kings and voodoo queens, Ursuline nuns and Storyville madams. CITY ON THE MISSISSIPPI: a history of migration, plantations and riverboat adventures; once the richest city in America, later a bohemian haven for such writers as Sherwood Anderson, William Faulkner and Tennessee Williams.